I have lived here in Devon in various places on the edge of Dartmoor most of my life, apart from several years in Mid Sussex. As a child I led a very free and happy upbringing, very connected with the land on a smallholding, deep in the beautiful Devon countryside and surrounded by nature. Both my mother and grandmother have been keen gardeners, always sowing seeds or propagating plants and shrubs. 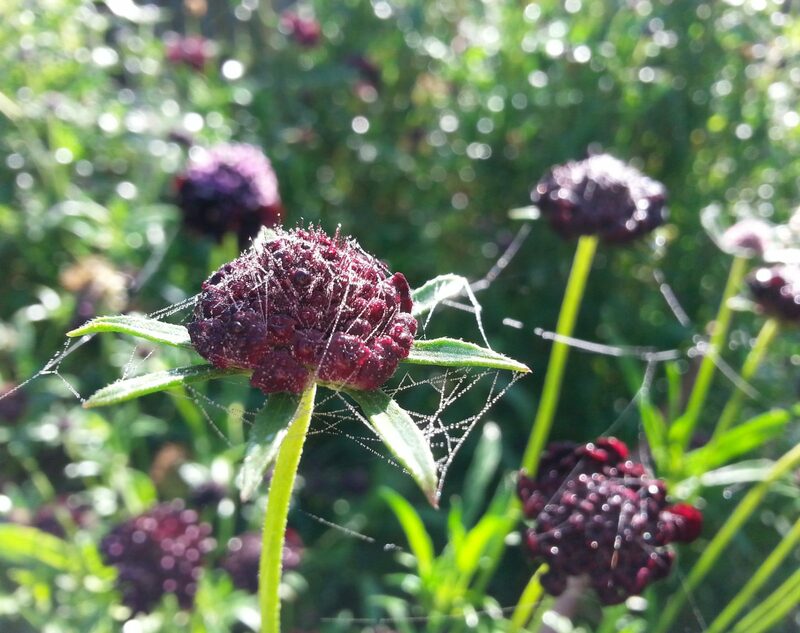 In my adult life I developed a passion for growing and developing gardens, which in turn motivated me to want to grow a lot of the beautiful flowers that we don’t get to see other than in private gardens. There has never been such a large variety of types, colours and tones available to grow, yet we rarely get to see them in bouquets and bunches. 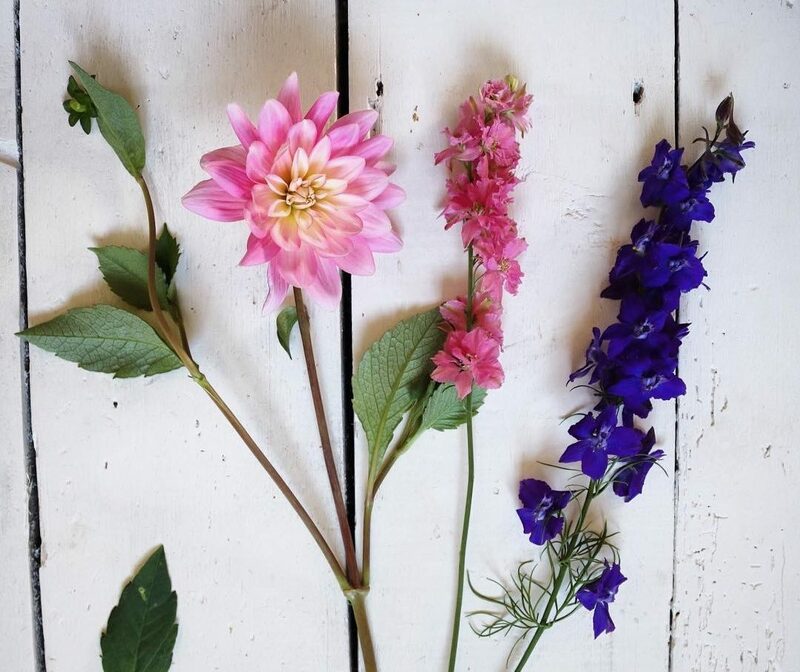 British flowers have a special scent, beguiling quality and a natural essence unrivalled by mass flower production and long lengths of time spent in cold storage. They also have a fantastic vase life! Why use The Flower Forest? 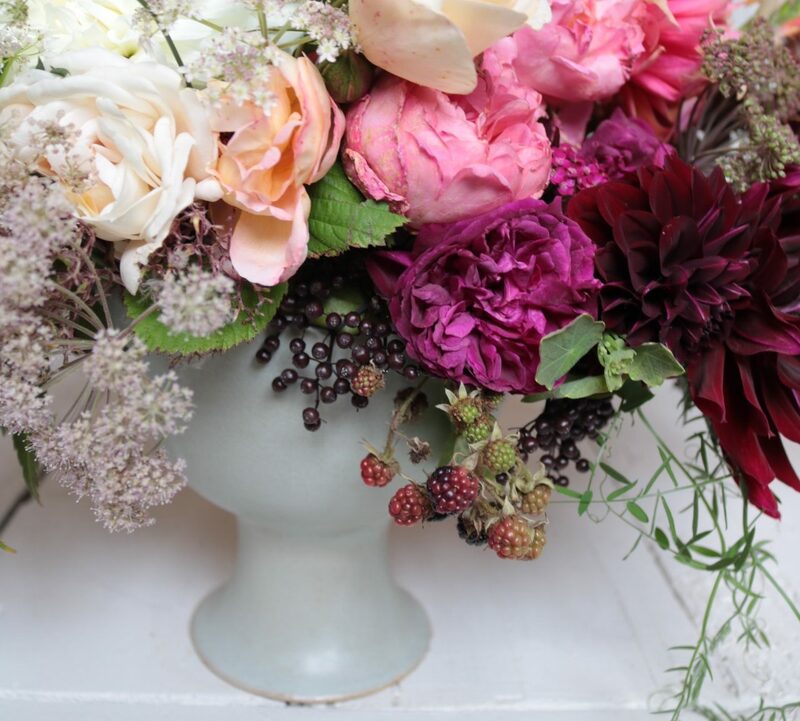 As a professional florist, I personally select, grow and nurture the most beautiful, scented British flowers, herbs & foliage to make available for you. Even if it’s just to go in a jug on the kitchen table. I want to extend that same simple pleasure that beautifully fresh, scented flowers give to me….to you. Because I select each and every variety and colour of flower I grow, it offers me the opportunity to grow all the very best cutting flowers, from old favourites to new flowers that have only just been made available. Locally grown flowers fit in really well with weekly deliveries to local Bed & Breakfast Cottages and Hotels and customers wanting a regular bunch of mixed seasonal flowers for the house. Nothing beats freshly cut flowers with minimal meddling! They are in your hands within 24 hours, full of life, scent and individuality. And no air miles! Growing allows me the freedom to choose a vast range of different flowers to grow that would never be available from Supermarkets, Florists and Wholesale Flower Growers. 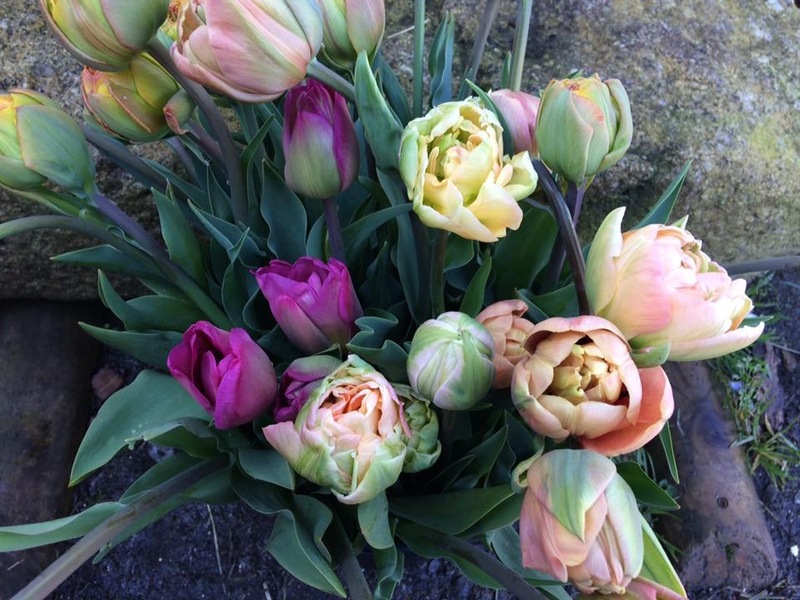 Starting with Spring, there are a beautiful selection of Narcissi, Daffodils, Tulips and Anemones. 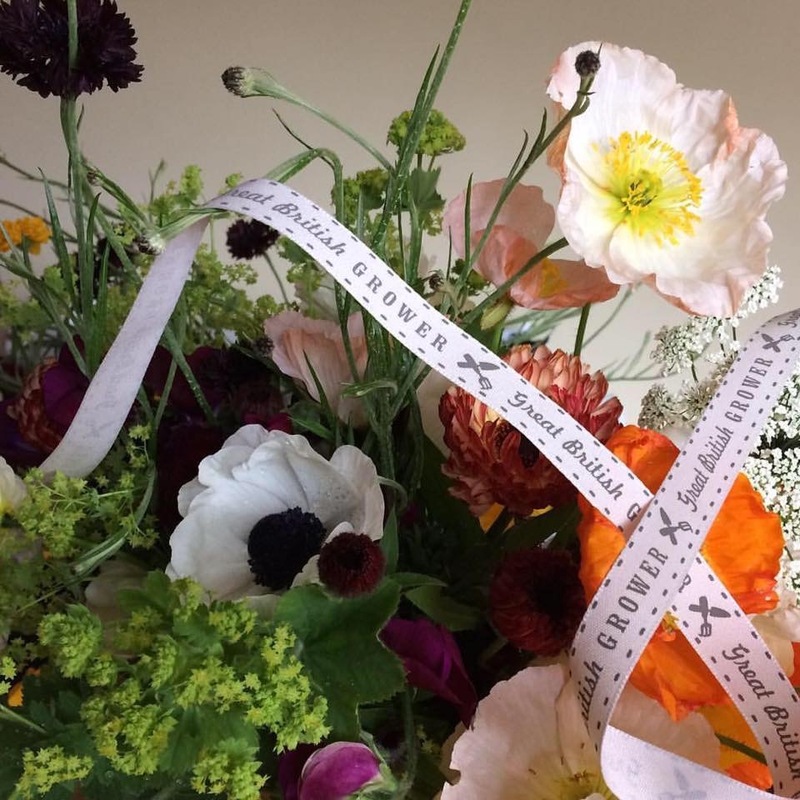 Late Spring beautiful Peonies, Geums, Icelandic Poppies, Lupins, Ranunculus, Astilbe and Astrantia. 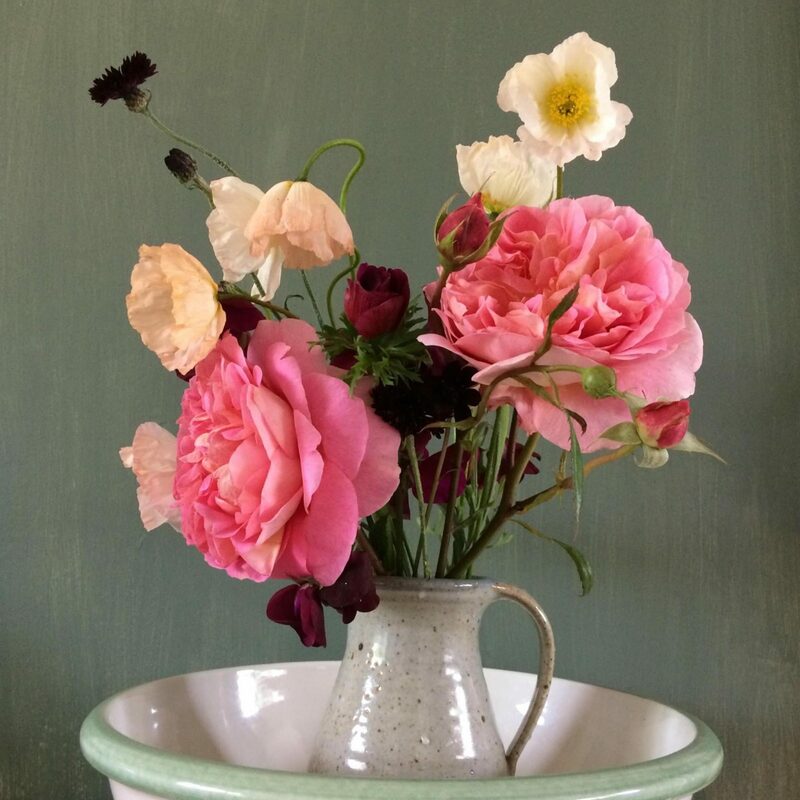 Summer, there are Sweet Peas, Larkspur and Delphinium, Phlox, Nigella, Scabious, Foxgloves, Cornflowers in all colours, Roses….can’t forget the Roses! 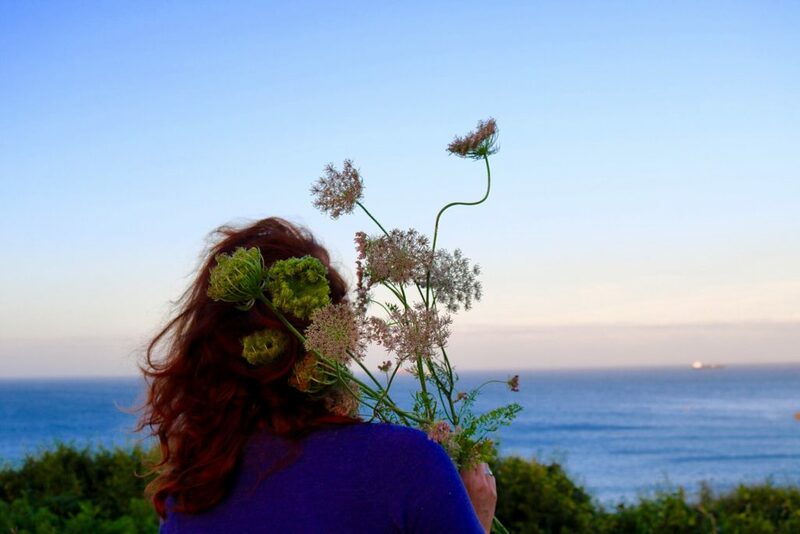 Lavender, Nepata, Ammi Majus, Orlaya, Daucus (as I am holding above) also known as Carrot Flower, Calendular, Dill, Rosemary, Mint and Feverfew….so many more. And late summer, the main flowers are Dahlias. So much selection! The best thing about it is, if I am asked for Purples, Pinks and Blues, Or Yellow and White, or a range of blush colours for a wedding in 6 months time, I can grow specifically for that wedding. How brilliant is that!